Obituary for Bonita Louise Little | Henry Funeral Home, P.A. 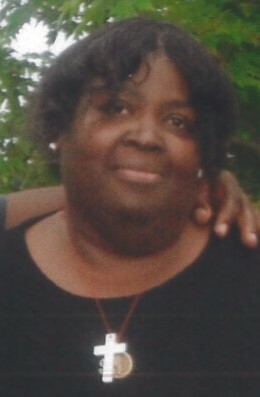 Bonita Louise Little of Hurlock, MD departed this life on April 3, 2019 at University of MD Shore Regional Center in Easton, MD. She was 56. Born July 23, 1962, she was the daughter of the late Viola and James Little. Bonita, affectionately known as Bert or Bia was educated in Talbot County Public Schools. She was a homemaker for many years. She loved and was devoted to her family and enjoyed listening to music. She was very generous as she faithfully watched the children of her family. All her children and nieces had to do was call or stop by; she was ready, willing and able, at the drop of a dime no questions asked. Bonita even took over the reins to raise her great nephew, after her mother transitioned. In addition to her parents, James and Viola Little, she was preceded in death by: a brother George Little; a sister Joyce (Dolly) Little; a grandmother Pauline Griffin; an uncle James Murray; 2 aunts Elizabeth Cooper; a niece Tasha Jackson; a great aunt Maisie Johns; a great uncle Eugene Brooks; a great nephew Edward Leroy Cheers III. Bonita leaves to cherish her memory and is survived by: her daughter Dimeta (Wendell) Corsey of Hurlock, MD; 2 sons Derone (Heather) Little, of Cambridge MD, Richard Peterson, Jr. of Preston, MD; a great nephew, Tayvon Johns of Baltimore, MD, 7 grandchildren: DaMyzha Lake, Martia and Heavyn Corsey, Mason, London, My, and Ta Little; a great grand-daughter Kaoir Manokey; a brother Alexander (Rondallyn) Little of Bethlehem, MD; 2 sisters, Ruth Ann Murray of Preston, MD and Elaine Copper of Easton, MD; one aunt, Ada Murray of Philadelphia, PA; a great aunt, Doris Brooks of Philadelphia, PA; 8 nieces, Justina (Tyrone) Pinkett, Shantell (Edward) Cheers all of Trappe, MD, Michelle (Michael) Pinkett of Easton, MD, Dee-Dee (Timothy) McCoy, Sr. of Hurlock, MD, Shunail (Michael) Roberts of Cambridge, MD, Johnail (Darrick) Smith, Sr, of Bellevue MD; three nephews, Robert Moaney, of Warner Robins, GA; Alex (Christine) Little of Hollywood, FL; Torrell Little of Bethlehem, MD; and a host of cousins, great and great-great nieces and nephews, and friends.